T.D. 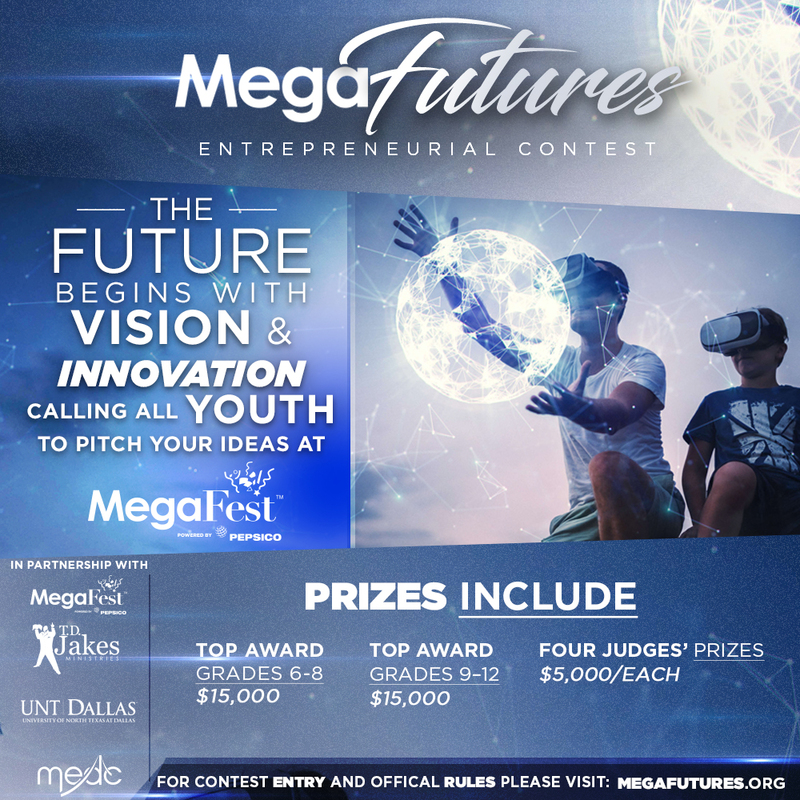 Jakes, CEO of TDJ Enterprises and Robert Mong, President of the University of North Texas at Dallas announced today the creation of an innovative entrepreneurial competition called MegaFutures@MegaFest, designed especially for students in grades 6-12. 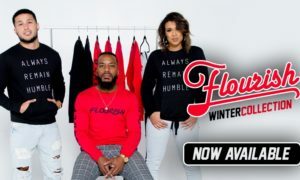 The competition will debut as part of this year’s MegaFest, the nationally acclaimed four-day festival of faith and family to be held in Dallas June 28 – July 1 and will feature a strong emphasis on entrepreneurship. The latest “Conversations with America” poll, 3 in 4 Gen Z students age 14 – 17 believe “if I really put in the effort, I could be my own boss by starting a small business,” compared with only 65 percent of respondents over age 18 who agreed with the same statement. The Call for Entries is now open. Online applications are due by Monday, June 12. Participants will compete in two age groups (11-14 and 15-19), with finalists having the opportunity to present a three-minute oral presentation to the judges’ panel on Thursday, June 29. A total of $50,000 in prize monies, sponsored by PlainsCapital Bank, will be awarded. PlainsCapital is the sixth-largest Texas headquartered bank by deposit market share. For contest details or to apply go to www.megafutures.org. MegaEmpowerment – BusinessTalk, Financial Talk, Health Talk, Tech Talk and numerous breakout sessions – plus the exciting Expo of exciting new products and services; MegaInspiration – Woman Thou Art Loosed, Man Power, MegaYouth Fire Code, MegaKidz Destiny World, Alive Dance/Mime Conference; MegaEntertainment – A Time to Laugh Comedy Show, International Faith & Family Film Festival, Celebrity Meet & Greets; and MegaCommunity – Career Corner, MegaFit, College Corner, Fashion Show, Health and Wellness. There are also additional tracks specifically designed to educate, empower and entertain youth ages 12 to 18 under the MegaYouth banner. This will be the third year MegaFest will be returning to Dallas. 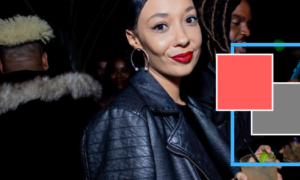 Between June 28 and July 1, more than 100,000 attendees are expected to embark on a journey of inspiration, empowerment and entertainment led by T.D. Jakes.